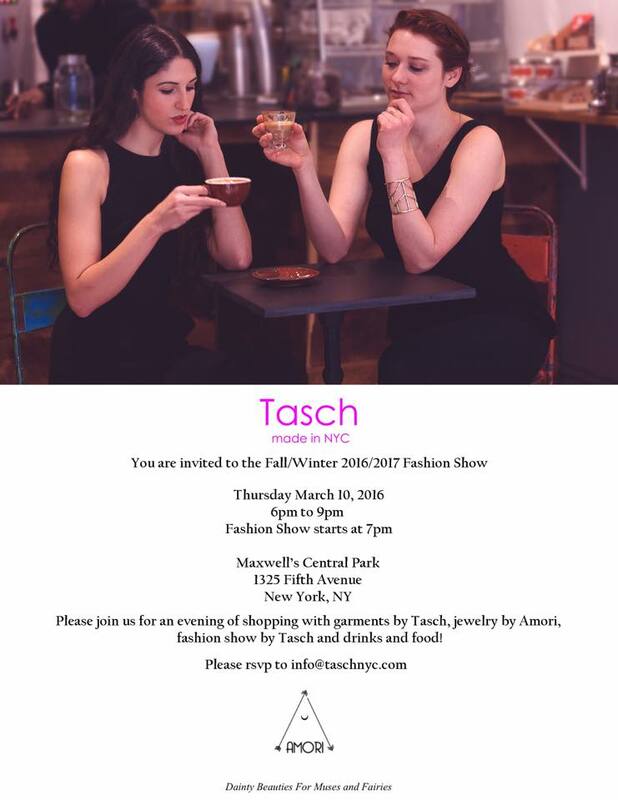 You are invited to the Tasch Fall/Winter 2016/2017 fashion show and pop up shop. Pop up shops by Tasch and Amori with great discounts. Fashion show starts at 7pm on March 10th.